3 Saudi women human rights defenders released but for how long? And what about the others? 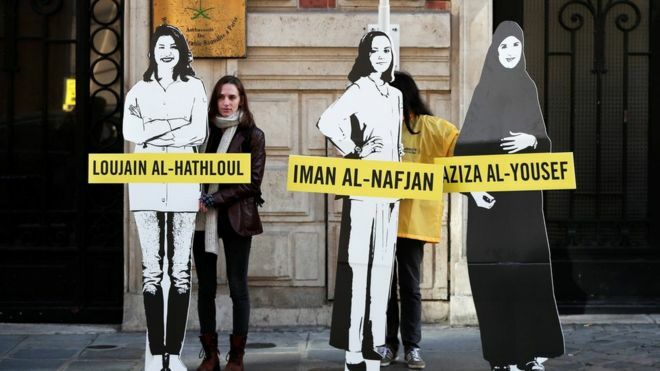 Amnesty International and UK-based Saudi rights organisation, ALQST, named the women as Eman al-Nafjan, Aziza al-Yousef and Roqaya al-Mohareb. Saudi state media said the releases were only provisional. Lynn Maalouf from Amnesty welcomed the releases but said it should not be on a temporary basis. “They have been locked up, separated from their loved ones, subjected to torture and threats for simply peacefully calling for women’s rights and expressing their views,” she said. 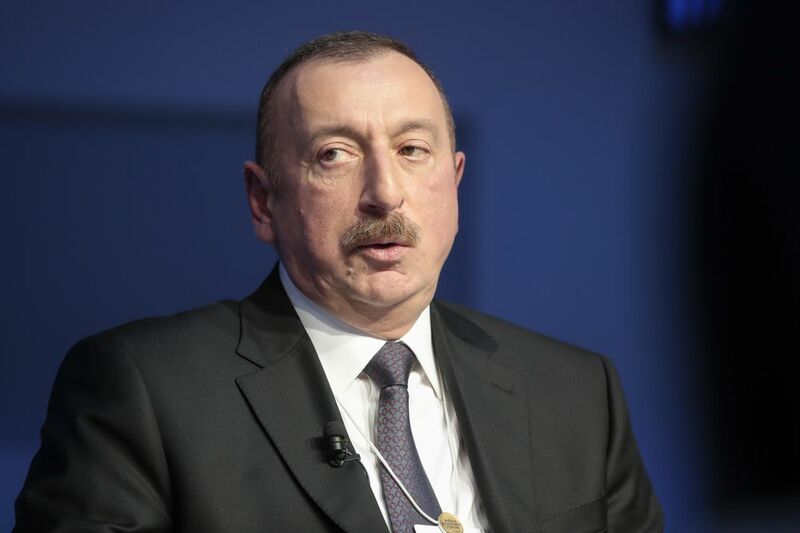 The ink on an EU report (March 15) concluding that human rights in Azerbaijan remain in need of improvement, is hardly dry and there is a surprise announcement that Azerbaijan’s strongman-resident has ordered the release of more than 400 people, including opposition politicians and pro-democracy youth activists who were listed as political prisoners by international human rights groups. True, the EU report comes ahead of the upcoming EU-Azerbaijan Cooperation Council, scheduled to take place on 4 April in Brussels, but there must be other reasons. Fuad Qahramanli and Gozal Bayramli, deputy leaders of the opposition Popular Front of Azerbaijan Party, are among the pardoned, according to a statement on the presidential website. Pro-opposition youth activists Ilkin Rustamzada, Qiyas Ibrahimov and Bayram Mammadov will also be released. The pardoned are to be freed within 24 hours. At least 43 human rights defenders, journalists, political and religious activists remained wrongfully imprisoned in Azerbaijan last year, according to Human Rights Watch. Whether all of these are freed is not yet clear. It would be wonderful if this blog can finally turn attention elsewhere after some 30 posts concerning Azerbaijan (https://humanrightsdefenders.blog/tag/azerbaijan). Prominent human rights lawyer Abdolfattah Soltani in Iran was granted conditional release after serving more than seven years, reports the Guardian on 21 November 2018. “The authorities agreed yesterday to my client’s conditional parole and he was released today,” Soltani’s lawyer Saeed Dehghan said on Wednesday, according to IRNA. Soltani was jailed in 2011 over charges of “spreading propaganda against the system” and “setting up an illegal opposition group”, Amnesty International said at the time. He was granted conditional release after serving more than half a 10-year term, IRNA said. A previous parole request on 8 July had been denied, according to his lawyer. Soltani was a co-founder of the now outlawed Defenders of Human Rights Centre alongside Nobel peace prize laureate Shirin Ebadi and others. The human rights lawyer’s release could not be immediately confirmed with his family. Soltani was briefly released from prison in August to attend the funeral of his 30-year-old daughter, Homa, who died of a heart attack. The Chinese government must immediately and unconditionally release Huang, who has been detained solely for the peaceful exercise of his right to freedom of expression, and end its policy of denying prompt medical treatment to prisoners of conscience. Several human rights defenders and ethnic and religious minorities have died in detention in recent years due to a lack of prompt medical treatment, including Liu Xiaobo, Cao Shunli [see: https://humanrightsdefenders.blog/2015/03/27/china-or-the-un-must-ensure-independent-investigation-into-death-of-cao-shunli/], Yang Tongyan, and Tenzin Delek Rinpoche, intensifying fears that Huang Qi might suffer the same fate without urgent intervention. Authorities have repeatedly rejected applications for release on medical bail despite Huang’s heath condition continuing to deteriorate. He faces charges of “illegally providing state secrets to foreign entities” and “leaking state secrets” due to his work with 64 Tianwang Human Rights Center, which documents and publishes reports on enforced disappearances, trafficking, human rights violations and complaints against government officials. Huang faces the possibility of life imprisonment. His 85-year-old mother has been campaigning for his release, fearing he may die in prison. Last month two of his associates received suspended prison sentences and were released, but authorities have continued to hold Huang. 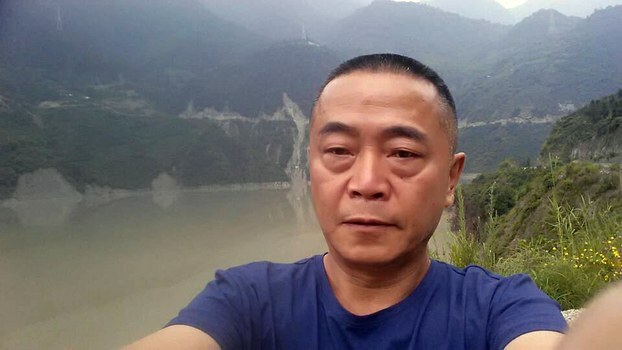 The UN Working Group on Arbitrary Detention issued an opinion in April 2018 that declared Huang’s detention arbitrary, but the Chinese government continues to ignore the Working Group’s recommendation that Huang be released and compensated. Lawyers representing Huang Qi have also faced retaliation. One of his lawyers, Sui Muqing, was disbarred in February 2018 for defending human rights defenders, such as Huang. 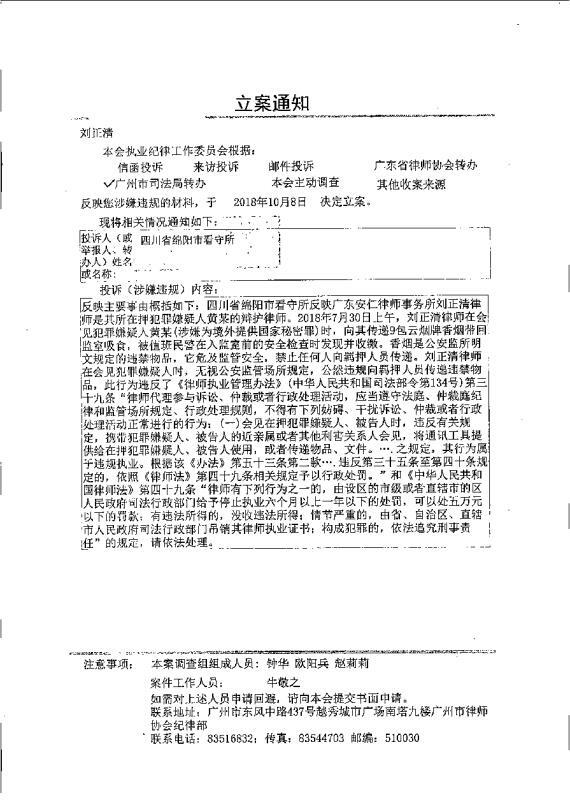 [https://www.frontlinedefenders.org/en/case/human-rights-lawyer-sui-muqing-disbarred] Huang’s current lawyer, Liu Zhengqing, received a notice in October that he is under investigation for giving Huang cigarettes during a meeting in July. Liu faces suspension of his law license or a large fine. Vietnam has released dissident blogger Nguyen Ngoc Nhu Quynh, also known as “Mother Mushroom“. [https://humanrightsdefenders.blog/2017/07/06/the-kind-of-blogging-that-got-mother-mushroom-10-years-imprisonment-in-vietnam/]. Quynh, 39, was freed from jail and put on a plane to the United States where her mother and children live. She boarded a flight to Houston around noon Wednesday 17 October 2018, said Martin Gemzell, Asia program director for Civil Rights Defenders, a group based in Sweden. 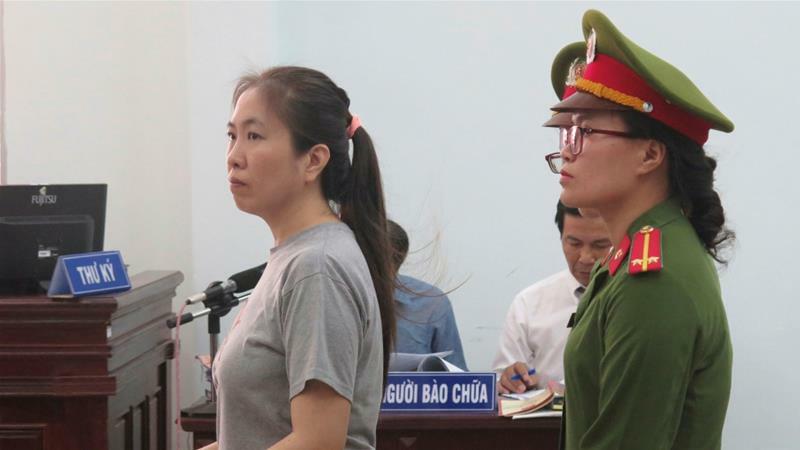 Quynh, one of Vietnam’s most well-known activists, whose recognisable pen name “Me Nam” comes from her daughter’s nickname “mushroom”, was jailed in June 2017. She is an outspoken critic of Vietnam’s one-party state and gained notoriety with her writing about the environment, politics and deaths in police custody. Quynh came to prominence when she received the Civil Rights Defender of the Year award in 2015 and also the (USA) International Woman of Courage Award in 2017. “The overly broad, ill-defined scope of this law makes it all too easy to quash any kind of dissenting views and to arbitrarily detain individuals who dare to criticize government policies,” former UN High Commissioner for Human Rights Zeid Ra’ad Al Hussein said in 2016. While the Vietnamese authorities have not given a reason for the release of Quynh, it coincided with a visit to Vietnam by US Secretary of Defence Jim Mattis. Quynh is the second Vietnamese dissident released this year. A prominent human rights lawyer, Nguyen Van Dai, was released from prison in June and went to Germany. The Financial Times (amongst others) reports that changes in Uzbekistan are possibly going in the right direction. [“While Mr Mirziyoyev was part of the old system too, as prime minister for 13 years, his ousting of Mr Inoyatov was the boldest in a series of steps apparently designed to start opening the country up. He has freed 18 high-profile political prisoners — even if thousands more remain in jail — and taken nearly 16,000 people off a 17,500-strong security blacklist of potential extremists that stopped them travelling or getting jobs”.] This echoes what HRW said on 5 September 2017 after delegation had made its first visit to Uzbekistan since the organization was banned there in 2010: “The key is for the Uzbek government to transform the modest steps it has taken thus far into institutional change and sustainable improvements”. Now (13 February 2018) twelve international NGOs have publicly urged Uzbekistan to release journalists and human rights defenders. Journalist Bobomurod Abdullaev faces up to 20 years in prison if found guilty. In a joint statement HRW, IPHR, Amnesty International, the Association for Human Rights in Central Asia, Civil Rights Defenders, the Committee to Protect Journalists, Freedom House, the Norwegian Helsinki Committee, Reporters Without Borders, Freedom Now, ARTICLE 19, and the Uzbek-German Forum for Human Rights have called on Tashkent to “ensure a thorough, impartial, and independent investigation into the alleged torture and other ill-treatment” of independent journalist Bobomurod Abdullaev. [Abdullaev was detained in September on charges of “conspiracy to overthrow the constitutional regime” and faces up to 20 years in prison if found guilty. 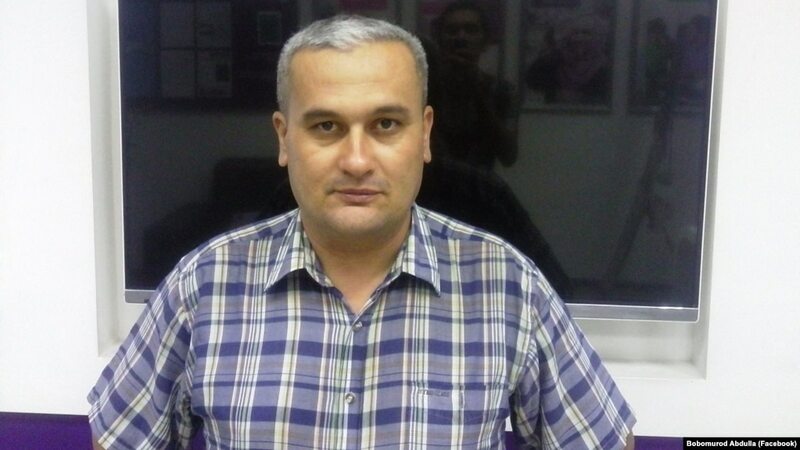 In October, Uzbek authorities arrested well-known economist and blogger Hayot Nasriddinov. They have accused him and others, including Akrom Malikov, an academic who was arrested in 2016, of plotting to overthrow the government. “At a time when the Uzbek government appears to be taking steps to reform the country’s feared security services, reports of a journalist’s torture in their custody should prompt an immediate investigation and decisive, public condemnation,” HRW Central Asia researcher Steve Swerdlow said in the statement. “There is a real opportunity for change in Uzbekistan – and yet we hear of journalists and bloggers still being detained and tortured. This case is a test of whether Uzbekistan’s human rights situation is really improving or not,” Brigitte Dufour, director of International Partnership for Human Rights (IPHR), said in the rights groups’ statement. Update on Turkey: Taner Kılıç released but what about all the others? NOTE: 1 February update in http://gkmen.com/2018/02/01/turkey-court-reverses-release-of-amnesty-head-taner-kilic/: “Andrew Gardner, a senior Amnesty researcher on Turkey, tweeted that Kılıç was transferred from prison custody to gendarmerie custody late Wednesday. While the Istanbul court rejected the appeal, it nonetheless sent the application to another court for a decision on Kilik’s detention. “This is devastating for Taner’s family and a disgrace to justice”, he added. The group said the next hearing in his trial has been set for June 21. Ari Khalidi (Kurdistan24.net) reported on 30 January 2018 that an opposition lawmaker in Turkey revealed on Tuesday that authorities had arrested 572 lawyers during the one and a half year-long state of emergency in place since a failed military coup to topple the administration of President Recep Tayyip Erdogan. Republican People’s Party (CHP) lawmaker Senal Sarihan told a press conference at the Turkish Parliament that of the lawyers arrested, 488 faced maltreatment in police custody, as 79 of them were given prison sentences. ..Last week, the International Bar Association’s Human Rights Institute (IBAHRI) urged the Turkish government to stop persecuting lawyers. “This situation demonstrates a flagrant disregard for the rule of law and is a deliberate attack on human rights defenders and legal professionals. We call on the Turkish government to bring an end to this deplorable situation and to adhere to international instruments,” IBAHRI’s Co-Chair Hans Corell said. According to IBAHRI, 1,488 lawyers were prosecuted, and 34 bar associations were shut down in Turkey. Human Rights Watch in its World Report stated that Turkey “increased restrictions on the media, political opposition, and human rights defenders during 2017, on the back of a very narrow referendum“. Turkey also introduced a presidential system with insufficient democratic checks and balances against the president’s abuse of power. “Everywhere you look, checks and balances that protect human rights and rule of law in Turkey are being eroded” said Hugh Williamson, Europe and Central Asia director at Human Rights Watch. “The move to a presidential system, the ongoing state of emergency, and charges against opposition lawmakers have all weakened parliament, the courts are under ever tighter government control, and the crackdown on media and civil society deepens.”..
Sudan‘s human rights activist Mudawi Ibrahim on Tuesday 29 August 2017 was pardoned by President Omar al-Bashir with another five political activists, reported Sudan Tribune. In March 2009, the authorities shut down Sudan Social Development Organization, which was chaired by Ibrahim, a professor of Mechanical Engineering at the University of Khartoum, and winner of the inaugural 2005 Front Line Defenders Award for human rights defenders [https://www.frontlinedefenders.org/en/profile/dr-mudawi-ibrahim-adam]. Ibrahim’s case has received wide concern from national and international legal organizations and societies defending human rights. What is interesting also here is the source: Xinhua….which reports on human rights violations regularly except in China of course. Many media outlets [here Radio Free Asia] and social media reported on the conditional release of the ‘ADHOC5′ (https://humanrightsdefenders.blog/2017/04/29/the-adhoc-five-in-cambodia-continue-to-linger-in-shameful-pre-trial-detention-for-more-than-a-year). On 29 June 2017, Phnom Penh Municipal Court Judge Theam Chan Piseth concluded his investigation and issued a court order to send their case to trial, conditionally freeing the five from detention and placing them under court supervision. According to the ruling, the five cannot change their residence or leave the country without court permission and must answer to any court summons. Following their release, the former detainees traveled to a nearby temple, where a Buddhist monk performed a cleansing ceremony to “wash away all evil.” The four active ADHOC officials then gathered at their organization’s office for an hour before returning to their homes. Speaking to RFA after his release, Ny Sokha said that despite the hardships of his time in prison, he was encouraged by the support he and the other four detainees received from the local and international community, adding that he is committed to continue campaigning for human rights. “Even as a human rights defender, I was still badly mistreated, so I cannot imagine how ordinary people would have been treated,” he said. 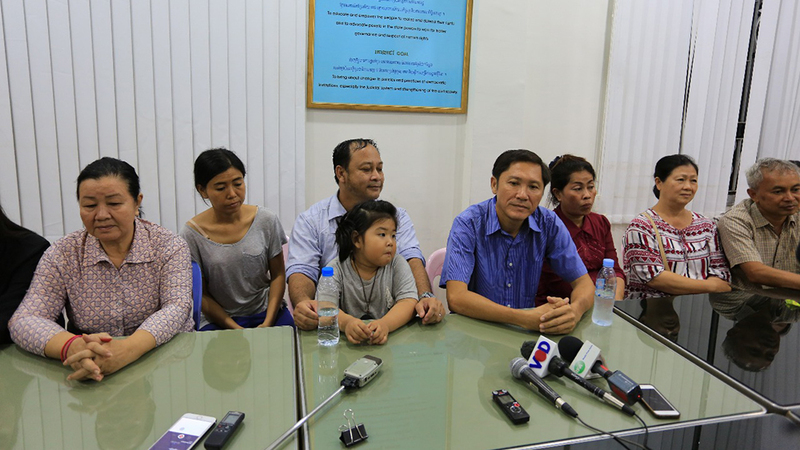 Nay Vanda thanked the media for its coverage of his case, as well as NGOs and local supporters for pushing for the release of the ADHOC 5, while Ny Chakra pledged to return to his work at the NEC as soon as possible. In response to an April court ruling to extend the pre-trial detention of the ADHOC 5, the United Nations Human Rights Office of the High Commissioner (OHCHR) called for Cambodian Prime Minister Hun Sen’s government to “release without delay” the five rights defenders, while the U.N. Working Group on Arbitrary Detention recommended last November that they be freed. On April 26, the detainees were collectively named as a finalist for the 2017 Martin Ennals Award https://humanrightsdefenders.blog/2017/04/26/breaking-news-three-human-rights-defenders-selected-as-finalists-for-the-2017-martin-ennals-award/.